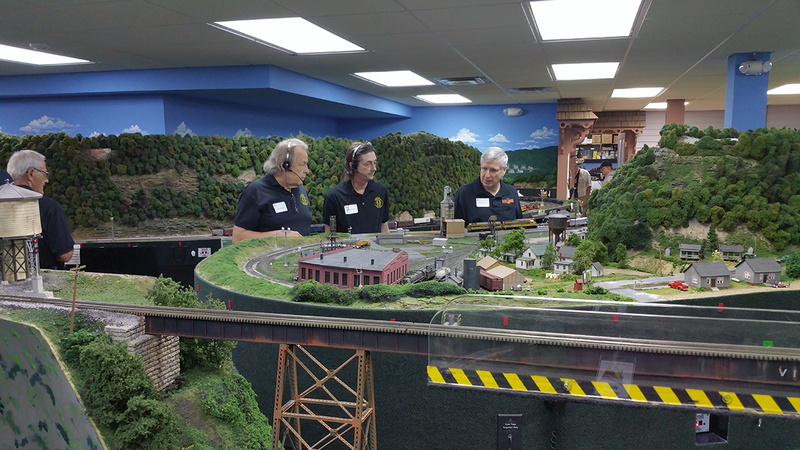 Operating crews on Gerry Alber's Virginian layout take a break between layout tours. 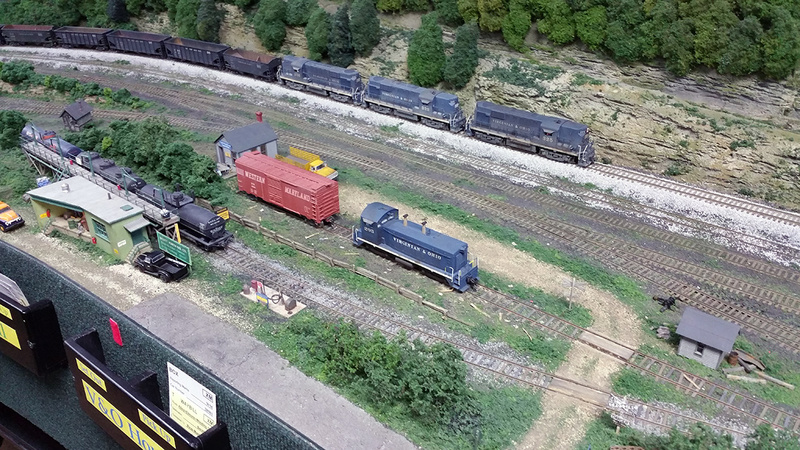 Allen McClelland's famous V&O has found a new home on friend Gerry Albers' huge Virginian layout. 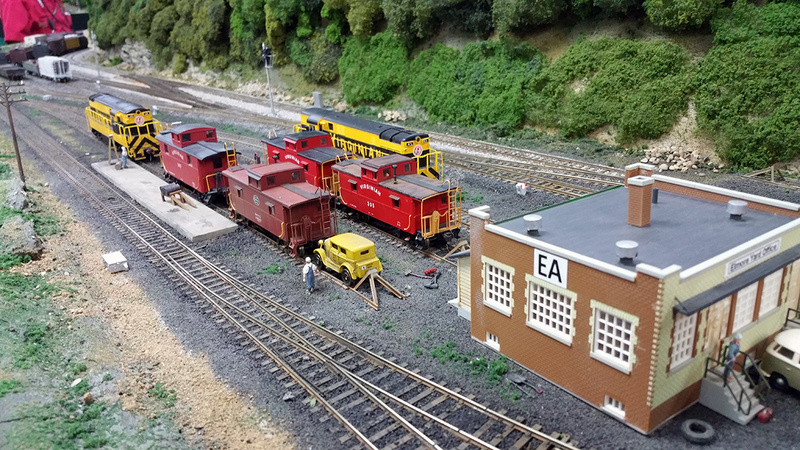 The caboose tracks at Elmore Yard are almost full on Gerry Alber's Virginian layout. 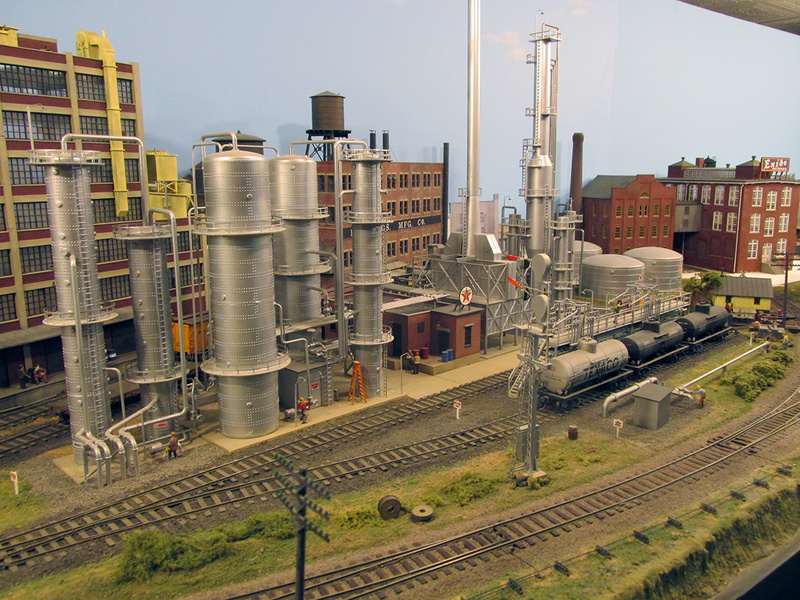 The oil refinery on Jerry Strangarity's Reading layout. Loco service facilities on master modeler Jerry Strangarity's HO 1930's Reading layout. 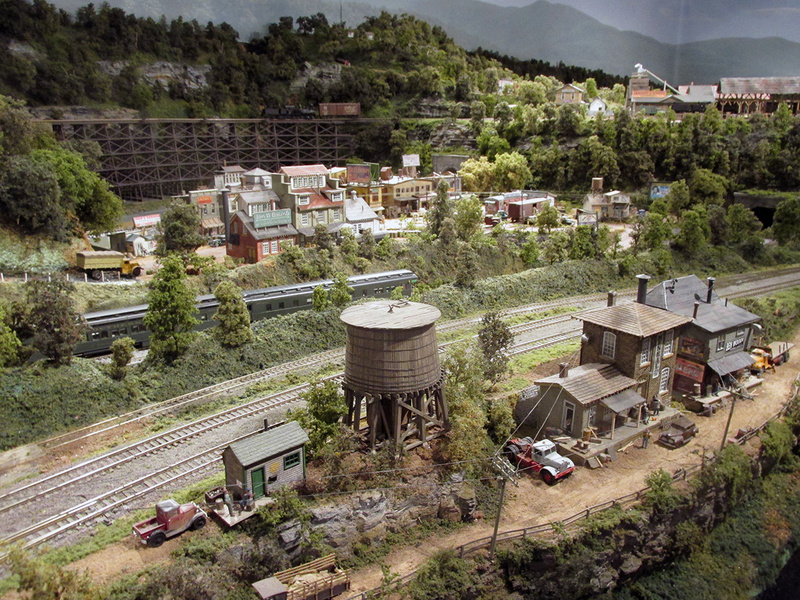 A PRR decapod crosses over main street on Curt LaRue's fine HO 1950's Pennsy layout. 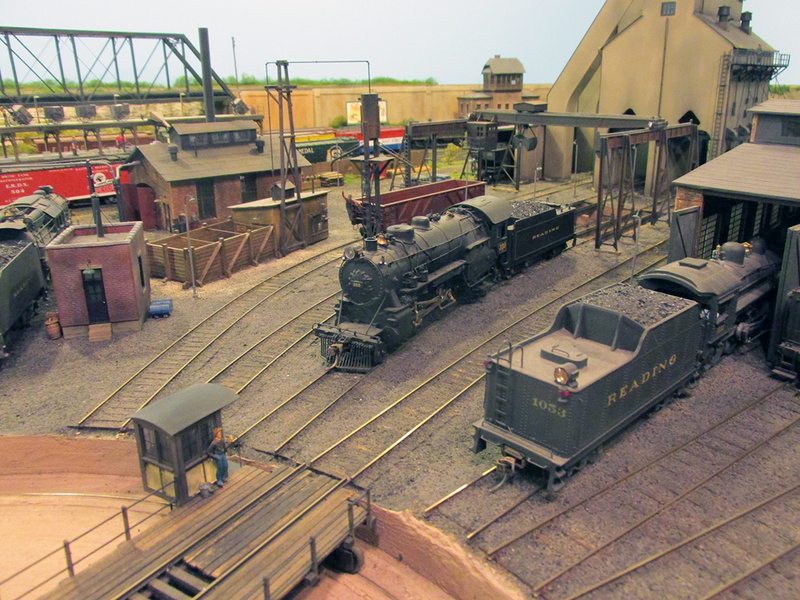 Bob Montgomery beautifully scratch builds almost all the structures on his large 1950's Southern layout. 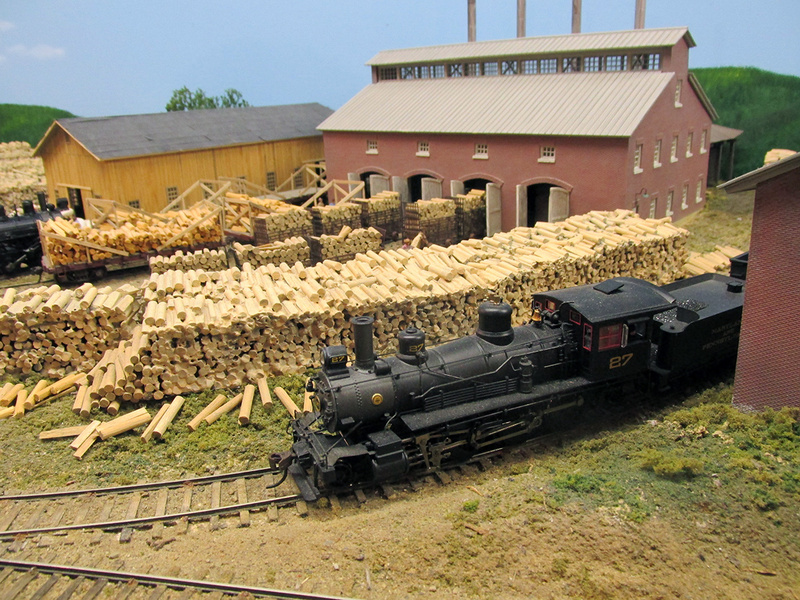 2-8-0 #27 sits near a pulp wood mill on John Burchnall's HO 1920's Eastern Loggers layout.